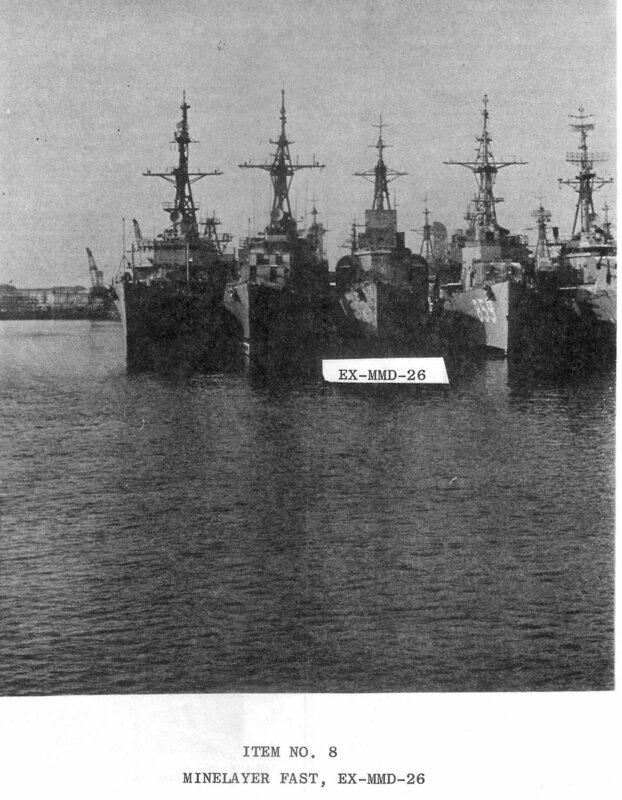 Sold for scrap 12 June 1974 by the Defense Supply Agency, Defense Property Disposal Service, to Northern Metals of Philadelphia, PA. Propulsion: Four Babcocks and Wilcox boilers, two 60,000shp General Electric Corp. geared turbines, two shafts. "For extraordinary heroism in action against enemy Japanese forces as Support Ship on Radar Picket Station and in the Transport Screen during the Okinawa Campaign from March 24 to June 11, 1945. 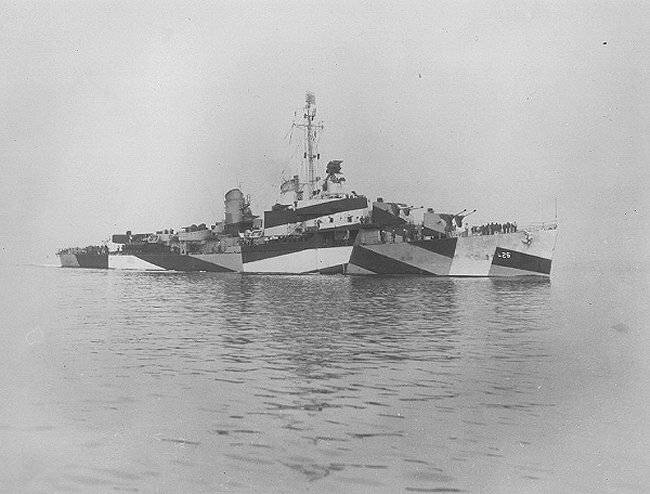 One of the first ships to enter Kerama Retto seven days prior to the invasion, the U.S.S. 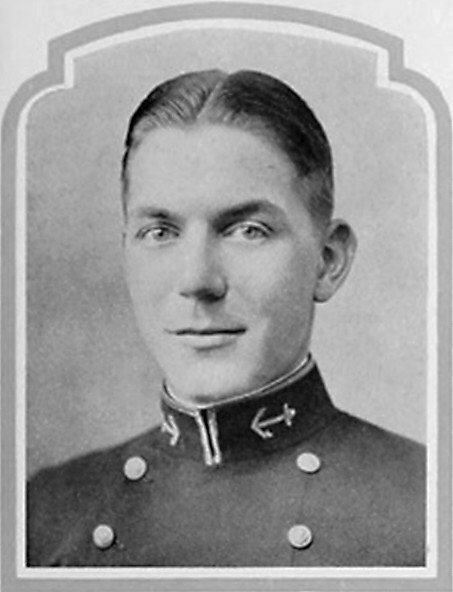 HARRY F. BAUER operated in waters protected by mines and numerous enemy suicide craft and provided fire support for our minesweeper groups against hostile attacks by air, surface, submarine and shore fire. 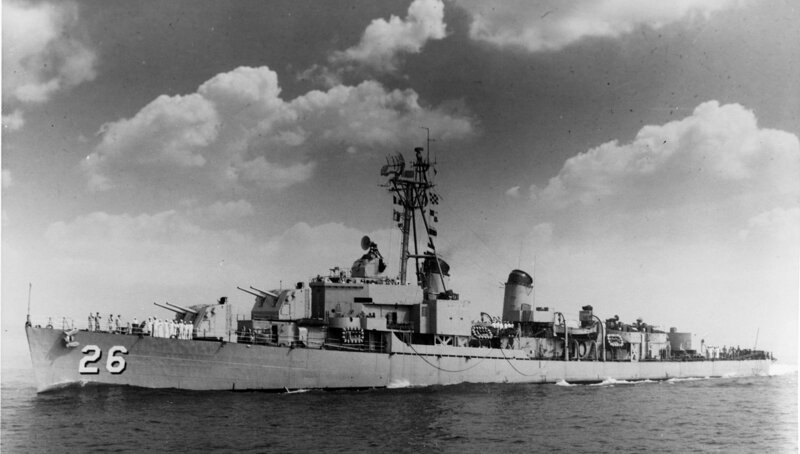 Constantly vigilant and ready for battle, she furnished cover for our anti-submarine screen, served as an antiaircraft buffer for our Naval Forces off the Okinawa beachhead and, with her own gunfire, downed thirteen Japanese planes and assisted in the destruction of three others. 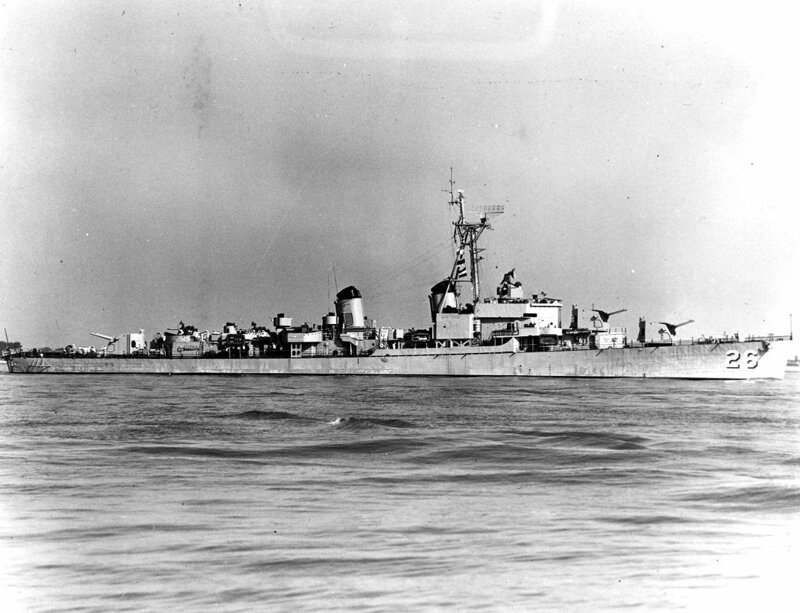 A natural and frequent target for heavy Japanese aerial attack while occupying advanced and isolated stations, she defeated all efforts of enemy Kamikaze and dive-bombing planes to destroyer her. On April 2, she rendered invaluable service by fighting fires and conducting salvage operations on a seriously damaged attack transport. 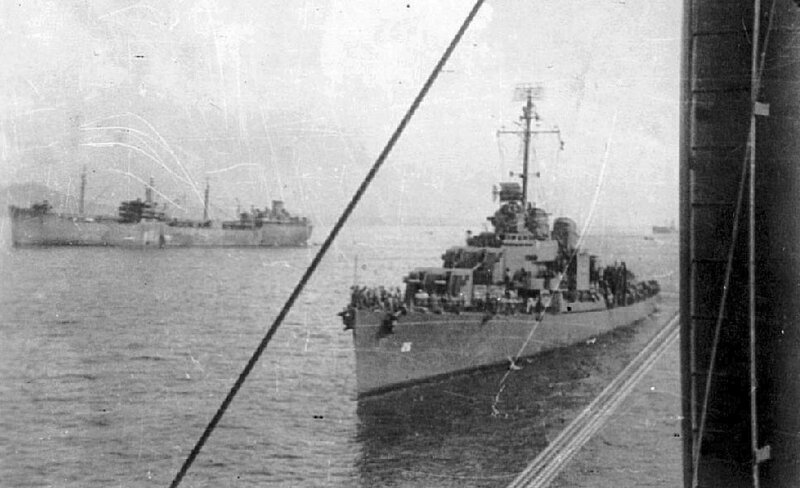 Although herself damaged by a Japanese suicide plane which crashed near her on June 6, she remained on station and escorted another stricken vessel back to port. 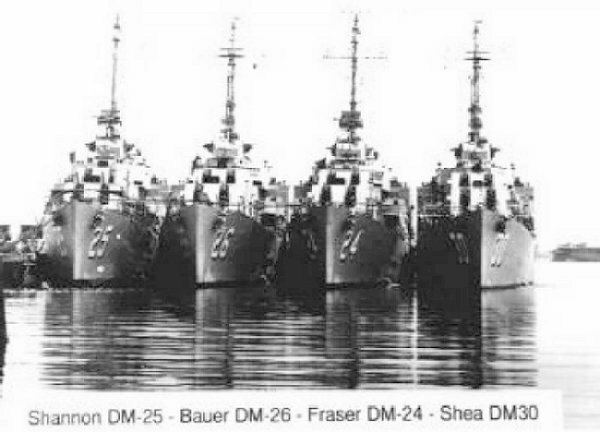 A seaworthy, fighting ship, complemented by skilled and courageous officers and men, the HARRY F. BAUER achieved a notable record of gallantry in combat, attesting the teamwork of her entire company and enhancing the finest traditions of the United States Naval Service."